Royal Brackla was the first of only three distilleries (the others being Lochnagar and Glenury) to earn the 'Royal' epithet, receiving the industry's first Royal Warrant in 1835 from King William IV. Independent bottlings of Royal Brackla are relatively regular, with Gordon & Macphail and Douglas Laing occasionally releasing interesting expressions. A 2015 release as part of the Last Great Malts series, Royal Brackla 12 Year Old is finished in first-fill Oloroso sherry casks and is light and spicy with notes of vanilla and black pepper. 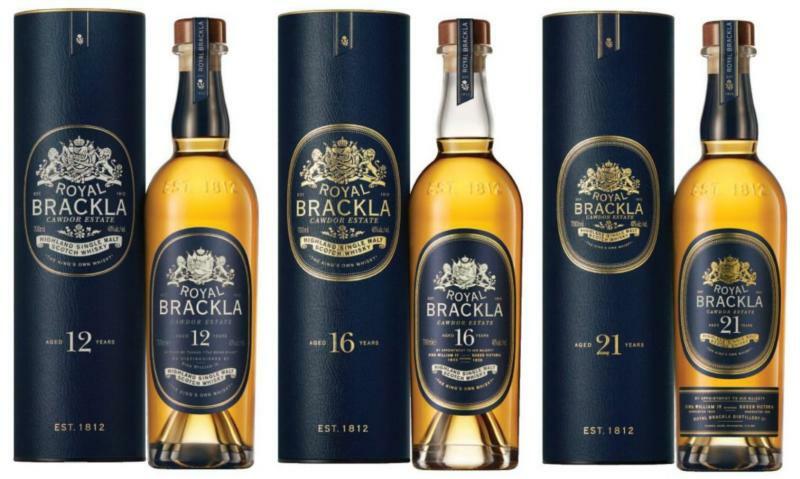 Royal Brackla was the first distillery to be allowed to use the 'Royal' title, and 2015 saw it get its own range of single malts. Part of the Last Great Malts series, the 16 Year Old is finished in first-fill oloroso sherry casks and is sweet and spicy, with a hint of smoke in the mix, too.